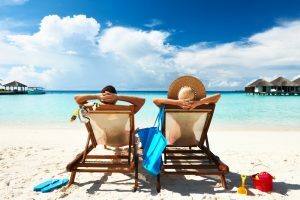 I’ve posted a ton on retirement including: how to retire early, whether $1 million is too little to retire or not, and how $3 million is not enough to retire. But those posts tend to be “how to’s” with general suggestions. Today I’d like to get more specific and provide a roadmap for those wondering if they can retire or not — a way for them to calculate their numbers and see where they stand. So with that, let’s begin detailing the three steps to determining if you have enough to retire. Step 1: Estimate your retirement expenses. This step sets the baseline for what you’ll have to overcome to retire. If you’ve had a budget throughout the years and/or tracked your spending in any way, estimating your retirement expenses will be easy. You probably already have a good sense of what things cost and may have years of exact spending data to use in setting retirement costs. We have over 20 years of spending saved in Quicken, so this was a breeze for us. If you don’t have any historical results, you’ll need to get some (eventually). Set up a system (like Quicken, Mint, etc.) to track spending and get some actual data. Until then, you can estimate by looking at past checkbook, bank, and credit card statements. We use a spreadsheet and list costs by category and by month. Then at the end of each month, I save a new copy of the previous month’s sheet, lop off the month that has passed, and set new projections based on more current info. This gives me a completely up-to-date budget every month and allows me to make adjustments where needed. Easy-peasy. Doing this, you’ll get an annual spending number. This will be your retirement target. Step 2: Determine how much retirement income you can generate. Total assets (less any debt on them). Obviously, the higher this number, the better. Extra income from a side hustle. Once you know these, you can get a decent projection of retirement income. I’ll run through a few examples to show what I mean. Not bad, right? They have a good amount of assets and a good return rate (especially on the real estate) which allows them a healthy retirement income. Their assets are lower and they don’t have any that generate high return rates, so their income is much lower than in the first example. Fewer assets and lower returns equal lower retirement income. Now let’s see how things change is you add in a side hustle. Only this time they also have a side hustle that earns them $20,000 per year. Big difference from their non-side hustle results, huh? This is why having a side hustle can make such a huge difference in retiring both faster as well as with more retirement income. I think you get the idea. There are a myriad of different outcomes based on various levels of assets and what those assets could earn. This is why you need to use your own numbers to calculate your specific returns. Once you do calculate your numbers, you’ll then want to add in any other income (like from pensions, annuities, post-retirement work, businesses, part-time work, etc.) to get your total retirement income. Step 3: Compare income to expenses. Now compare the numbers from the first two steps. If income is greater than expenses, you are ready to retire. Of course, you want to leave yourself some margin of safety so the wider the spread, the better. Save more from your current income and add to your assets. Re-deploy assets to get a higher return rate — one that gets you closer to covering expenses or even puts you over the top. Develop new sources of added income or make current ones higher (i.e. start a side hustle or invest in one you already have so it churns off more income). Once you get to the point where income is higher than expenses, you have enough to retire. Any thoughts or comments to add? Thanks for providing this information. It is crucial to know your expenses and your income at retirement. Another factor is to determine how low you want to drawdown your account balances. There truly are many factors to consider and to plan for. When we first started looking at how much we needed to retire, my husband was sure we needed $5 million. Thankfully, we refigured that number to a much more attainable $750k. But even then, we knew the idea of early retirement based on that savings number was really hard. So we decided that focusing on creating a substantial passive income, on top of working towards that savings number, was the best combination for us. It gives us the peace of mind for future with the savings, while also allowing for us to have a more flexible lifestyle now. This is a great layout of the retirement steps! My first step is definitely reducing debt by going to war against it! With the new cash flow resulting from winning that war, I will work to continue growing my assets and passive income. I track my expenses now and could most likely project future expenditures, including house / children based on averages to help calculate a FIRE number to compare to. Looking forward to that moment for sure!! I love that when trying to figure out if you can retire early that you can essentially adjust your style of living to accommodate the amount you have saved up. Think about that – if your goal is to stop working and focus whatever you want to focus on, then lowering your expenses is super powerful! Good point to keep in mind Lance. Nice straightforward example, but a couple nitpicks. 1) the 8% return expectation on RE is likely high. If investors have a choice of 1.5% yield on stocks (closer to 2% actually) or 8%on RE, then demand for RE will drive prices up to lower the yield, perhaps to 6 or 4%. Expected risk adjusted returns tend to be comparable across risky assets in equilibrium. And that is probably not a realistic “net” yield with RE anyway. 2) drawing 4% of stocks per year doesnt necessarily “draw down” your holdings. Studies show that was the max withdrawal rate to not run out of money over 30 years, but in the majority of cases you had money left over, even more than you started with in many cases. Still the 3 steps are absolutely correct, with the 3rd, adjusting your spending, which by in large is most variable and under your control, is the most important. Nice article! Well, I use 8% for RE because I earn much more than that. I get 10% back in income plus several more percent in appreciation. So 8% is conservative given the conditions I’d buy under. Granted, in many (not all) markets those conditions are going/have gone away as prices have climbed. That said, they likely will fall again and present another buying opportunity. In addition, my returns include zero debt (I paid cash for my places). You can improve the return on your money by borrowing for RE if you are so inclined. As for the 4%, I use it because 1) it’s generally well known and accepted and 2) (using your thoughts) conservative versus using 4.25% or 4.5%. One thing to keep in mind are future medical expenses. If you assume what you need today is basically what you’ll need later you might take a big hit if you develop any sort of chronic medical condition…or just need one big surgery. Given that health belongs to those work money I’m the US, make sure to include some extra! This is very timely for us. We have been building our passive income for the last 4.5 years and are currently replacing 2/3 of our income. Our passive income is primarily through real estate though we do have some dividends coming in. I expect to retire in the next 2 years before I’m 50. We are planning for lower than historical equity returns and are a fan of the projections Bogle has put out there. Big ERN did a great analysis recently of his own and came up with slightly higher expected real returns. With a 75:25 equity:bonds allocation, we anticipate a 2.5% SWR, helped by my “side income” of a corporate pension which will provide for 25% of our annual expenses, starting at retirement next year at age 51. I guess there are advantages of staying with one employer for 20+ years and reaping the rewards of a pension, which are actually getting rarer and rarer these days in the corporate world. Q for you – why the lowish dividend yield projections? Isn’t 2% more realistic? e.g. VTSAX is ~1.9% right now. Simply being conservative and factoring in a margin of safety. If you can make it at 1.5% and really get 2%, then you are set. Also, the examples are there to be just that: examples. People can do their own calculations and input whatever percentages they feel are appropriate. Finally, no matter what percentages I use, I get feedback on why they should be higher or lower (everyone has their own theories and justifications.) So I use numbers I like and feel comfortable with. I wish more sites would devote time to once you get to that point of retiring, outline options and strategies on how to retire on what you have saved and what it earns. Nice summary ESI. The only thing I might add is to contemplate how much income will be generated at different stages of the economic cycle. This complicates things considerably once we realize the world doesn’t moves in nice straight lines. During recessions, dividend income may decline somewhat. Stocks might be down 50% and then you don’t want to sell. That real estate generating 8% might only generate 3% in a recession because of vacancies. I would say this instead — Generate an estimate of your income needs during a recession (maybe you tighten the belt a little), then try to estimate what your investment income will be during a recession. (The 2008 recession is recent enough so that’s a perfect example datapoint). It’ll probably be a lot smaller. Do you still have enough under that kind of situation? Those numbers might change a persons estimate of when they have enough to retire. This is why I like 1) have several margins of safety (linked above) and 2) using conservative return percentages when estimating these numbers. Let’s face it, things hardly ever go according to plan when dealing with money, so it’s very good to be flexible and have some downside what-if plans ready. My challenge: If one has $2 million in retirement assets, not including the net worth of a home, then it does not matter what percent is in real estate or index funds, as these investments can be converted to any asset class. Thus at a 4% safe withdrawal rate, then Bob and Sally can safely take $80000 (4% of $2 million) out per year. Any earnings not reinvested, either in RE, index funds or other investments is considered a withdrawal….This is different than your example. While maybe not for everyone, having a side-hustle can really give a boost to your finances and take some of the pressure off of your portfolio. Plus, it’s usually something you are good at and enjoy. I’ve had my side hustle for over 20 years. To a point I don’t mind working (and making money), but the full time job commitment gets old after a long time. Having the side hustle is a good compromise and gives me extra days every week to do what I want. Plus it gives me an extra sense of security in that I’ve got some money coming in vs. just living off and drawing down on my portfolio. Very nice, straightforward piece. I like time importance of side-hustles. Even in retirement, finding something that you enjoy that might be in a little bit of income could be really valuable for having a safe, happy retirement. I also like the comparison of stock asset protection (drawing only ~2%) versus the 4% rule. I like to think of my expenses in 2 categories, fixed (rent, mortgage, food) and variable (restaurants, travel, etc. ), with different assets used to cover both. The assets that are used to cover fixed expenses, I would want to only use the dividends, while the variable costs I could cover using the 4% rule. This is also helpful because if the market goes down, I can reduce my variable costs to match 4% of the portfolio’s value, without having to worry about how market declines will impact my fixed expenses. Agree with other posters – this is a great piece! Also agree that in fairness – the “drawdown” is 1) not very likely using the 4% rule (you sell appreciated assets under most scenarios and wind up wealthier when you die most of the time) and 2) the “drawdown” can occur with market devaluation, companies going out of business, a recession with dividends being cut, even if you never sell, AND 3) real estate can also inadvertantly draw down (vacancies, re-zoning, fires, loss of local employers, Flint Michigan, etc). Your main point of being balanced and having multiple sources for diversification is spot on. Nothing is guaranteed except your own flexibility and ingenuity! This method is simple and direct. Well done! Does this mean you track expenses for a certain period and delete the oldest month? Or does this mean you have a rolling monthly budget based on most recent data? Also, I know you use Quicken to track expenses. Would you recommend Personal Capital or Mint for tracking expenses. Based on your recommendations, we recently started using Personal Capital and we are starting to track our expenses as part of PC’s cash flow function, but I am wondering if Mint might be better (e.g., more convenient and functional for track expenses)? Let’s say we have a spreadsheet with a tab on it. The sheet on the tab lists costs by month, Jan-Dec, by category. On Feb 1, we make of copy of the entire sheet (creating a new tab), cut off January, and update the info for Feb-Dec as needed.